Replace your worn-out small arms sling with a original 1.25" x 52" adjustable model. 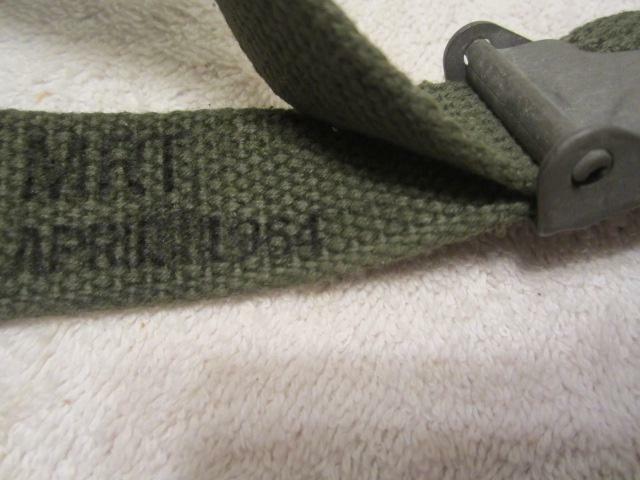 This was for many years, the standard rifle sling, starting with the M1, M14, M16, M4 and other sling swivel equipped weapons. Features the metal clip-on hook attachment used on the AR15 / M16 / M1 / M14 since the Vietnam War. Fits most assault rifles. Preferred by many Infantrymen. The Olive model is focused on the M14 and M1 series, but also fits the M16, AR15 and M4 Series.